We are proud to announce that we have teamed up with world champion Emma-Nellie Örtendahl to expand the Aqua Moto Racing Utopia world. In the expansion you get to test your driving skills against Emma-Nellie in her own championship. The expansion will be free for everyone to download and features several new tracks and the champion Emma-Nellie Örtendahl. Aqua Moto Racing already includes 44 different watercraft and over 55 custom-made race tracks set in various exotic locations around the world. If that wasn't enough, there's single player, online, local modes and even split-screen multiplayer. The title was originally released in 2016 and eventually made a splash on the Switch and Wii U. The platforms the expansion will be available on have not been announced. 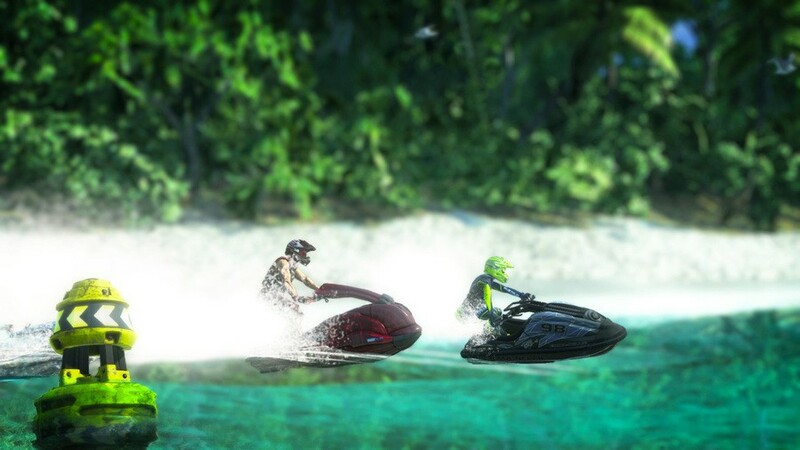 Have you played Aqua Moto Racing before? Would more tracks and a new challenge interest you? Tell us below. For one beautiful second I read the headline as Zelda. Yes! An expansion for my favorite Wave Race fix. This game is a blast to play if you fancy games like Wave Race. @Fastballer Cool man, i'll check it out, I've played the other one's and love those. I think i watched a couple of reviews of this before it was on switch and it didn't seem that great. I wish Nintendo would be bring back some classic IPs like Wave Race and 1080, it would be good to include also Cruis'n series too as racing games is lacking on the platform. Good news! I honestly think this game is an underrated gem, people who aren't into racing games probably don't care about it but I enjoyed it. This is a deep and fun game. I love wave race but this has far more content with only slightly less charm. I honestly believe if this was released as “Wave Race” everyone would rave about it. @Fastballer Just looked at more reviews are almost everyone is complaining of poor frame rate and physics. @Captain_Gonru Nope, Nintendo owns the IP and there is even a new Cruis'n Arcade called "Blast" or "Redline" that has Nintendo logo all over the place. If I'm not mistaken it was released in 2016 in some Arcades in the US but I don't know what happen after that. You can see some videos of the gameplay on Youtube, it looks really fun and I'm sure the Switch would be able to handle it. Hi - can you tell me if the framerate is smooth? I’m desperately awaiting a Wave Race announcement and this is obviously tempting but the videos I saw look a bit inconsistent in the frame rate department. The frame rate ist fine. I think, it's not 60 fps, but absolutely ok.
Aqua Moto Racing and Urban Trial Playground are 2 little hidden gems on Switch, I can recommend both. Got both physically. I'm really excited now for Moto Racer 4 and Gear Club Unlimited 2. Underrated according to some, perhaps, but the game has a lot of issues. I'd say steer clear. If a water-based racer has physics problems that totally ruin the organic feel that racing through water should have, then it's just not a good water-based racer. Simply put, this is an EXTREMELY weak alternative to Wave Race, which DID have near perfect water physics, and that true arcade feel that this game severely lacks. @YANDMAN, @FTL, @tourjeff, @sandman89 I'd like to invite all of you to read the review I posted above. It isn't very positive at all. People that favorably compare Aqua Moto to Wave Race, are WAY off. It doesn't even come close. If you're a real Wave Race fan, and are still very much aware of how that game played and felt, then this is just going to be a very poor substitute for that great game. It may look nice, but what lies underneath and what defines this game, is ultimately what makes this a decidedly mediocre effort. It can probably still be fun to play regardless of all that, but it's most definitely NOT a good substitute for the real thing. Like some of the comments underneath the NLife review I posted mention, you'd be better off playing Riptide GP Renegade, which is still no Wave Race, but scores quite a bit better than Aqua Moto, and is also much better in regards to capturing that arcade feel. @ThanosReXXX Yeah, I didn't purchase Aqua Moto because the reviews were not great and some said what you just mentioned, it is miles away in terms of quality when compared to Wave Race. I have Riptide on my phone and whilst I enjoyed it, in my opinion, it's not the same as Wave Race, I don't like to think that game as an alternative to a JetSki race so I'm skipping that one too and hoping for a new Wave Race on the Switch. @tourjeff True, it's no Wave Race, and I did mention that as well, but it is a better game than Aqua Moto, and it is a nice arcade racer. It's too bad that the Wii U or the Switch never got the Hydro Thunder reboot. No jet ski racer, but a great arcade boat racer nonetheless. @Nintendo4Sonic If that is your opinion, then that's perfectly fine, but the facts and the scores all across the board tell a decidedly different story. @ThanosReXXX I just wish Ninty would give us some of these classics IPs. At this moment I'd be accepting anything really (F-Zero, Pillotwings etc). These are perfect "filler" IP games that could easily cover some less busy months. @tourjeff I was just gonna add, that I too am a huge fan of Wave Race (which is also why I find these favorable comparisons of Aqua Moto to Wave Race so ridiculous), but I also think it's safe to say that we probably shouldn't expect it to come, so I'm not gonna hold my breath for it, much as I would like to see it appear. @ThanosReXXX Yeah i'm avoiding it, it looks nice enough but it's obviously not good. Riptide GP is awesome. The engine is that poor - terrible, stiff animation, framerate, controls and water physics - it's shocking that 1996 Wave Race is visually superior in everyway and is still the king of water racing. @liveswired Well, the graphics thing is true, but in the right perspective, of course. This game does look nice, and more advanced than Wave Race, but relatively, a game as old as Wave Race, does indeed look better, if you consider how old it is. But even more importantly: just to think that Nintendo's developers already had the water physics down in the N64 version, and only improved upon that in the GameCube version, so the gameplay is also far above this decidedly mediocre game here. Fix the sound issue on Wii U, when playing from the gamepad. And Labo support (bike) for the Switch version. @Loveswitch Is it really though? I have never played it but every single review says that it's terribly broken. @YANDMAN Yes it is. This is very much a fun game to play that I feel has been given much unnecessary hate. Just look at @ThanosReXXX and how much he is trying to discredit the game. Everyone has their own opinion but facts are this is a good game that I happen to find VERY fun. And come on... Riptide GP? It is a Sci-Fi tunnel racer with no depth, it has more in common with F-Zero then it has with Wave Race. 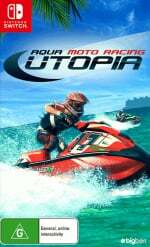 If you are looking for a real watercraft racer Aqua Moto Racing Utopia is your best bet! @Loveswitch ????? Riptide G.P is an amazing game, i have ploughed hours and hours and hours into it, and the online competition in time trials never ceases to be fun. I am very much for forming my own opinions of games, but there is no split field for this game, every review is the same criticism and i'm not going to drop £30 to find out if literally everybody is wrong. @Loveswitch I'm not trying to discredit the game at all. All I'm doing is showing the cold hard facts, and that is that this is simply no more than a mediocre game, and not a good substitute for real fans of Wave Race. I've tried many jet ski games, and yet none of them come close to representing the feel that Wave Race has. That does not exclude people from still enjoying this game, but you simply cannot say for a fact that this is a good game, that should be recommended to fans of Wave Race, because the numbers just don't lie. @ThanosReXXX Aqua racing looks nice in still shots, when it moves and plays it's just all wrong. I feel sorry for these guys, games development is clearly not their forte, maybe secretarial work or 'designing' leaflets at a small print company but 3D racing isn't for them. What makes Wave Race even more superior it that is was likely developed by a team of 10, working in 3D for the first time, so everything they had to do was innovation and invention - they got it right first time. Indie or large devs have never had it so easy. @liveswired Indeed. Which makes the achievement all the more remarkable, especially since it still holds its own against far more modern efforts like this game here.